Sambo Dasuki is a retired Nigerian Army Colonel and former National Security Adviser (NSA) to President Goodluck Jonathan. He was appointed NSA on June 22, 2012 following the removal of General Owoye Andrew Azazi. Became more controversial in 2015 after his arms deal fraud worth $2.2b was exposed, he’s been arrested and still in prosecution process. Born in Wusasa, Zaria on December 2, 1954 into the family of Alhaji Ibrahim Dasuki, the 18th Sultan of Sokoto, who was then serving as an account clerk at Gaskiya Corporation in Zaria, Col. Dasuki is a member of the Buhari royal house of the Sokoto Caliphate and a great, great, great grandson of the 19th Islamic reformer, Shaikh Usman Bin Fodio. He attended Kaduna Capital School and later Government College, Kaduna. He joined the Nigerian Defence Academy (NDA) in 1972 after the Nigeria Civil War. At the Academy, Col. Dasuki met other course-mates and friends-to-be such as Lawan Gwadabe and Abdulmumini Aminu. The trio would come to play a vital role in the August 1985 palace coup that toppled the regime of Major General Muhammadu Buhari. Instructively, Col. Sambo, along with other cadets who would also be crucial to General Ibrahim Babangida’s take-over in 1985, had cultivated their relationship with the former military president between 1970 and 1972 when then Major Babangida, having recovered from war injuries suffered as Commanding Officer of the 44th Battalion in the 1st Division under Colonel Shuwa, was made an Instructor and Company Commander in the Short Service Wing. Col. Dasuki passed out of the Academy in 1974 and began a remarkable career in the Nigerian Army. He was first posted to the Army Headquarters as platoon officer/field artillery and later rose to become Staff Officer AHQ Corps of Artillery before the August 27, 1985 palace coup. “Agreed, he is a retired colonel, like me, but he is my senior in the Army. I didn’t meet him at the Defence Academy [NDA]; he left early December in 1974 and I came in on the December 30 that same year that he left the Academy, but luckily enough, we served together at the Nigerian Army Corp Artillery and I got to know him as part of the larger artillery family. The only time I got close to him was when he was Aide-de-Camp (ADC) to the president, General Babangida, and I was also ADC to General A. B. Mamman, then Commander, Corp of Artillery.” These were the words of Col. Aminu Isa Kontagora (rtd), a former Military Administrator to Kano and Benue States, during the regimes of Gen Sani Abacha and General Abdulsalami Abubakar. Kontagora said this in an interview with Sunday Trust in which he gave some valuable insights into the new NSA’s career in the Army. Dasuki had his earliest education at the Kaduna Capital Elementary School. After his primary school, Dasuki attended Government College, Kaduna from where he joined the Nigerian Defence Academy in the year 1972 and was a course-mate of Colonel Kayode Are, General Owoye Andrew Azazi, and Admiral Ganiyu Adekeye. 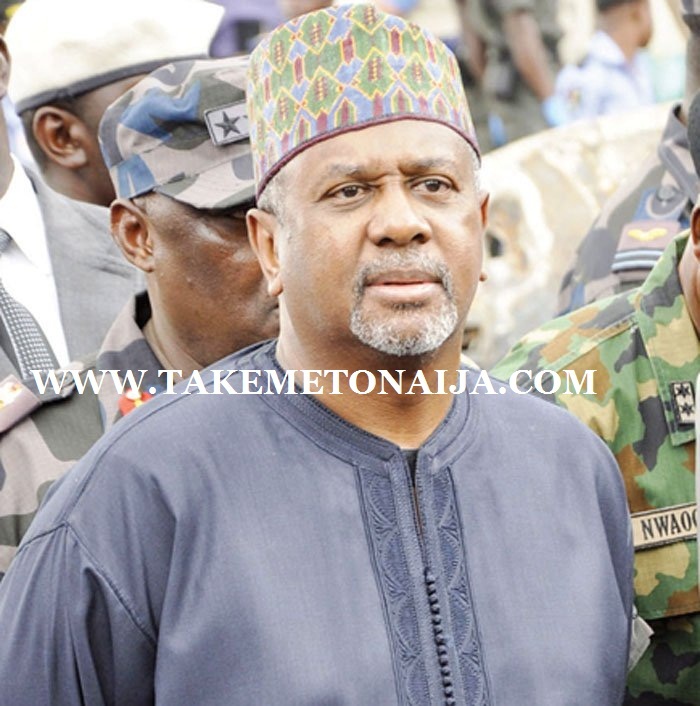 Dasuki was commissioned in the year 1974 and was posted to an Army Headquarters platoon. Sambo Dasuki (then a Major) and military assistant to General Mohammed Inuwa Wushishi participated in the military coup d’état that installed Major General Muhammadu Buhari as Nigeria’s Head of State. Sambo Dasuki (then a Major) was among 4 majors (Abubakar Dangiwa Umar, Lawan Gwadabe, and Abdulmumini Aminu) who arrested the Nigerian Head of State, Major General Muhammadu Buhari in the 1985 palace coup led by Major General Ibrahim Babangida. Following the successful execution of the coup, Dasuki was made Aide-de-camp (ADC) to General Ibrahim Babangida. Dasuki was also a former Managing Director of Nigerian Security Printing and Minting Company Limited (NSPMC). He resigned in protest from the NSPMC following its controversial privatisation by former President Olusegun Obasanjo. In early 2015, while serving as Nigerian national security advisor, Sambo Dasuki informed the Independent National Electoral Commission “that operations against Boko Haram militants meant the military “will be unable to provide adequate security” for the upcoming 2015 Nigerian general election. The elections, scheduled for 15 February 2015, were postponed until March 28. Also in April 2015, he insisted that the Nigerian military will ensure that Sambisa Forest the last Fortress of Boko Haram would be liberated before the inauguration of new government of President Muhammadu Buhari on May 29, 2015. Coincidentally, on the one year anniversary of the abduction of Chibok school girls, Dasuki insisted that government was concerned about the welfare of every single Nigerian not only the Chibok girls, as other innocent Nigerian girls, boys, men and women were abducted by the terrorists and all efforts were being made by security agencies to rescue them. More than 300 abductees were rescued from captivity by the military few weeks afterwards. He is the son of the former Sultan of Sokoto, Alhaji Ahmed Dasuki, who was deposed by the military regime of the late Gen. Sani Abacha. In August 1985, the evening of the 26th to be specific, at a time when Nigerians were celebrating the Muslim festival and enjoying the public holiday, a soldier named Ibrahim Badamosi Babangida was executing his plans of overthrowing the Nigerian Head of State, Major-General Muhammadu Buhari. One of the soldiers who arrested Buhari at gunpoint was a soldier named SAMBO DASUKI. After Buhari was arrested and his government toppled, IBB threw him into prison and handsomely rewarded Dasuki by making him his ADC (aide-de-camp). Sambo Dasuki was one of the four army majors that arrested Buhari at gunpoint that day. Others were Abubakar Dangiwa Umar, Lawan Gwadabe, Abdulmumuni Aminu. Buhari was left to rot in jail for two years and this wrecked his family life so bad that it led to a divorce with Safinatu, his beloved wife upon his release. While Buhari was also in jail, Babangida sent soldiers to ransack and vandalize his residence, in the process destroying some of Buhari’s most valuable credentials and valuables. Let me skip what happened to Sambo Dasuki and his father the former Sultan of Sokoto under General Abacha to today. He has been appointed as the National Security Adviser to President Jonathan and you really think Sambo Dasuki will want the elections to go on and Buhari become the President of Nigeria? Think again, what is going on has nothing to do with PVCs or bla bla bla. It is all about the interests of a few people strangling the country. I think all Nigerians should remain calm and read more and see how the game is played with the destinies of the almost 200 million of us. Things are not always what they seem to be. Colonel Sambo Dasuki’s re-emergence into the national scene after he was named as replacement for General Owoye Azazi’s as National Security Adviser (NSA) following a sudden reshuffle of the country’s top security hierarchy by President Goodluck Jonathan. Col. Dasuki’s appointment came on the wake of violent attacks and bombings by the Boko Haram insurgents culminating in series of deadly suicide bombings at churches in Zaria and Kaduna on Sunday, June 17, followed by waves of reprisal attacks. Yet there was another carnage in Damaturu, Yobe state in which over 70 people were dead. Interestingly, Nigeria’s outlay on security has grown to record levels under the Jonathan administration. Pretty little, aside the routine, tepid reassurances that government is on top of the situation, not much has been delivered in terms of making Nigerians feel safer. But the security situation has worsened. Thousands of lives have been lost and billions of naira worth of properties destroyed as a result of persistent bomb blasts in most part of the North. Without doubt, the unrest and serial killings perpetrated by the Islamic group poses a threat to Nigeria’s corporate existence. It was in the light of this development that many observers tend to criticize and analyze the choice of a quiet and unassuming Col. Dasuki at the head of the nation’s security apparatus. So much is expected of him. Although his appointment has been generally well-received, the question in everybody’s mouth is whether the 57-year-old urbane, but highly-disciplined Sokoto prince is the messiah that Nigerians are waiting for to set them free from the menace of insurgency. We dredge the past to uncover and bring to light the story of Col. Sambo Dasuki which encapsulates his career in the military as an artillery officer; his relationship with Generals Ibrahim Babangida, Sani Abacha, Aliyu Gusau; his tenure at The Mint; his ties to the Sokoto Sultanate and above all his involvement in Nigeria’s political development during the chequered history of military rule. Describing Col. Dasuki as a thorough professional soldier, Col. Kontagora further said that the new security chief is a humble man, who is very accessible and has contacts within and outside the country, which would help him to deal with the security situation in the country. In August 1985, Col. Dasuki participated fully in the coup detat that ousted General Buhari. In that military exercise, he, along with four other majors, namely, Abdulmumini Aminu, Lawan Gwadabe, Abubakar D. Umar and John Madaki, were assigned to effect the arrest of the then Head of State at his residence in Dodan Barracks in Lagos. Though, he might have involved himself passively in the December 1983 military takeover, the event of August 27, 1985 was a turning point in the life and career of young major. Col. Sambo was appointed the ADC to the new military president Ibrahim Babangida and served in that capacity until 1988 when he fell out with Chief of Army Staff, General Abacha. Relating how it all happened to another publication newspaper few years ago, the deposed Emir of Gwandu, Alhaji Mustapha Jokolo, said that General Abacha learnt Col. Dasuki was blowing the whistle on him. While as ADC to the president, Col. Sambo was noted as one of the president’s fiercest loyalists and a close confidante. He was always by the president’s side, controlling and directing personal matters that concern his boss. He became very influential behind the scene. As a result, he attracted goodwill, jealousy and envy to himself. Throughout that period, Ambassador Abubakar Udu, who as the Chief Protocol Officer to General Babangida, had watched closely how Col. Dasuki discharged his responsibilities, told Sunday Trust that the new NSA is very sincere in whatever he does. “Sambo is academically sound and capable to deliver on whatever responsibility given to him. I have no doubt that he will perform efficiently as NSA because he is matured and intelligent. “Also, he is a perfectionist as far as his work is concerned. I have confidence in his ability to deliver on his new assignment. Above all, he is passionate about the unity of Nigeria,” he said. Read ALSO: T.I.N Magazine Set To Celebrate Nigeria's 55th Independence With History Of Our Heroes Past. At the United States, Col. Sambo received military training in several institutions, including the US Army School of Artillery, Oklahoma and the US Army Command and General Staff College, Ft. Leavenworth, Kansas. He also obtained his first degree and Masters Degree in International Relations from the American University and MA in Security Policy Studies from George Washington University both in Washington DC respectively. On December 1, 2015, Dasuki was arrested by Nigeria’s State Security Service (SSS) for allegedly stealing $2bn and accused of awarding phantom contracts to buy 12 helicopters, four fighter jets, and ammunition meant for the Nigeria’s military campaign against Boko Haram Islamist militants. Nigeria’s former national security adviser, Sambo Dasuki, has been arrested for allegedly stealing $2bn (£1.3bn), his representatives say. Mr Dasuki is accused of awarding phantom contracts to buy 12 helicopters, four fighter jets and ammunition. He denies the allegations. The equipment was meant for the fight against Boko Haram Islamist militants. Mr Dasuki was picked up early in the morning by security agents, a PR firm representing him said. Two weeks ago, President Muhammadu Buhari ordered Mr Dasuki’s arrest after he was indicted by a panel investigating the procurement of arm under the last administration of former President Goodluck Jonathan. PRNigeria said he was picked up by intelligence agents from his home in the capital, Abuja, where he was already under house arrest facing separate charges. Later on Tuesday, the former governor of Sokoto state, Attahiru Bafarawa and owner of a Lagos-based private TV station, Raymond Dokpesi, were detained separately by Nigeria’s Economic and Financial Crimes Commission (EFCC), in connection with the alleged fraud. Both men, who are political allies of the former president, have denied any involvement in the arms deal. Their arrest follows those of some of Mr Dasuki’s associates by EFCC on Monday. The anti-corruption body said they included former Minister of State for Finance Bashir Yuguda and the sons of some prominent politicians of the former ruling party over allegations of impropriety in relation to the arm deal. Earlier, Mr Dasuki said he had not been given a chance to defend himself before the investigative panel and described its recommendation as “politically motivated”. The former army colonel is already facing a trial for allegedly possessing illegal firearms. He is the first senior official of the former government to be charged under the rule of President Muhammadu Buhari, who took in office in May. The BBC’s Martin Patience in Lagos says Mr Dasuki’s arrest will reinforce President Buhari’s message that he will not tolerate corruption no matter how senior the official. The president was elected partly on a promise to clean up Nigeria’s notoriously corrupt politics, our correspondent says. Boko Haram has killed thousands in north-eastern Nigeria in its six-year campaign to create an Islamic state.